I like dry curry pork. So as dry curry chicken! 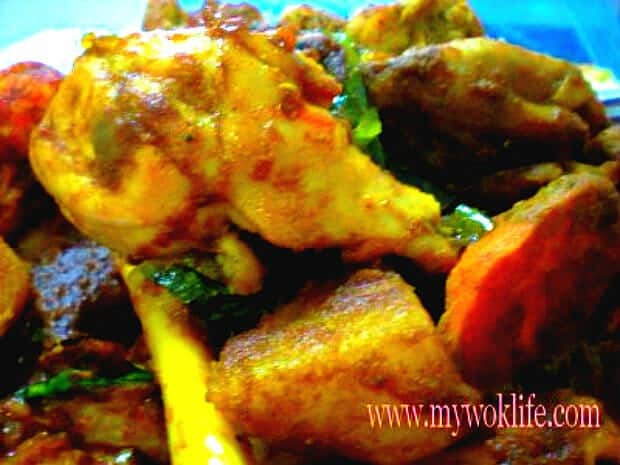 This recipe of dry curry chicken, especially. It is because I have added curry leaves and lemon grass stalk this time. Much more frangrant with a hint of lemon grass flavour. The taste of curry is even better with the curry leaves. Dry curry means curry without wet gravy. It is a good choice as savoury filling of bread, tortilla wrap, naan and roti prata (I love it with steamed rice though :p). 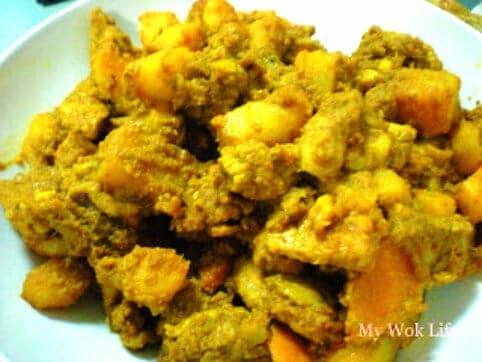 I prefer dry curry as the taste is stronger and more intensive to the palate. The curry texture is not too wet on the rice, but enough to complement it.